This hexagonal emerald is the perfect canvas for the floral motifs carving that is inspired by the Mughal Empire’s aesthetics of the past. The ancient art of gemstone carving helps to enhance the exquisiteness of the particular precious stone. This unique pendant is surrounded by fancy cut diamonds, from baguette to pear shape and rose cut, which adds more sparkles to this lovely necklace. 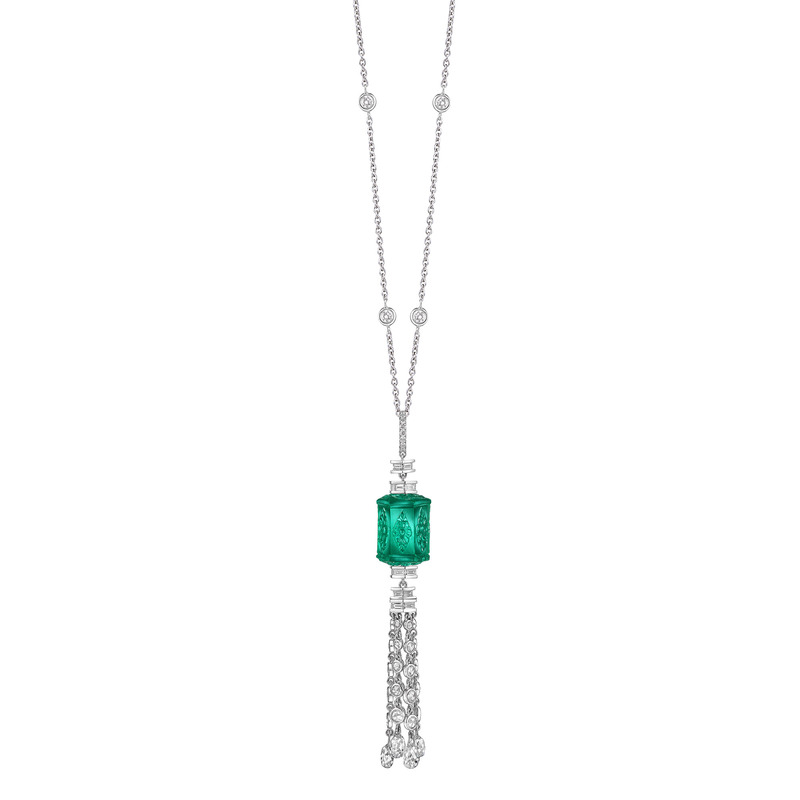 The diamond tassel that hangs demurely from the emerald adds a feminine touch to this necklace.